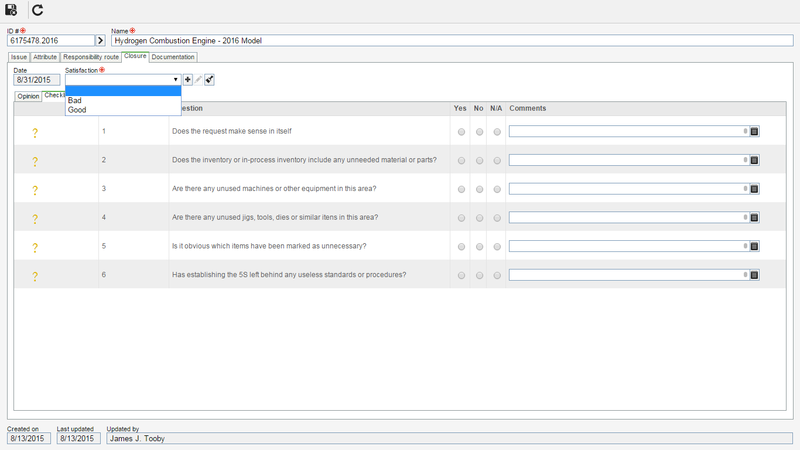 SoftExpert Request is a system focused on Service Request Management. It offers resources designed to manage the entire request lifecycle, from its beginning to its end. 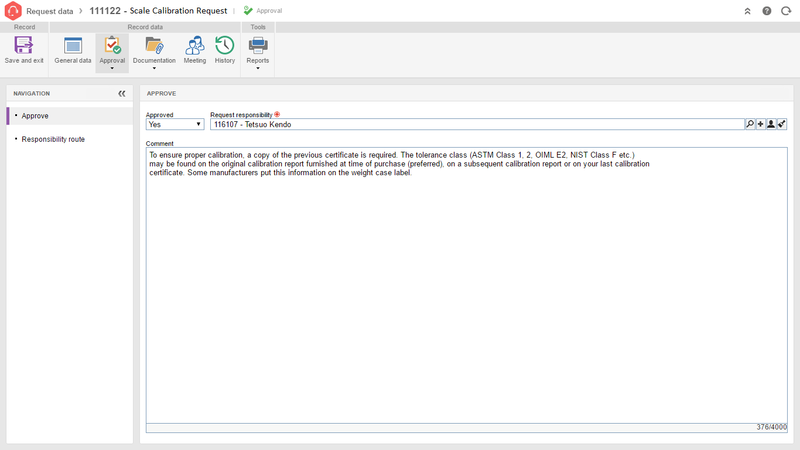 It offers approval controls, service effectiveness, analysis, searches, and reports that give users a quick overview of all requests. The solution streamlines teamwork through a powerful mechanism that controls pending items and automatically notifies those individuals responsible for the service automatically via e-mail. This guarantees managers and their teams a simple and effective control over their objectives and priorities, thereby optimizing compliance with deadlines and results. 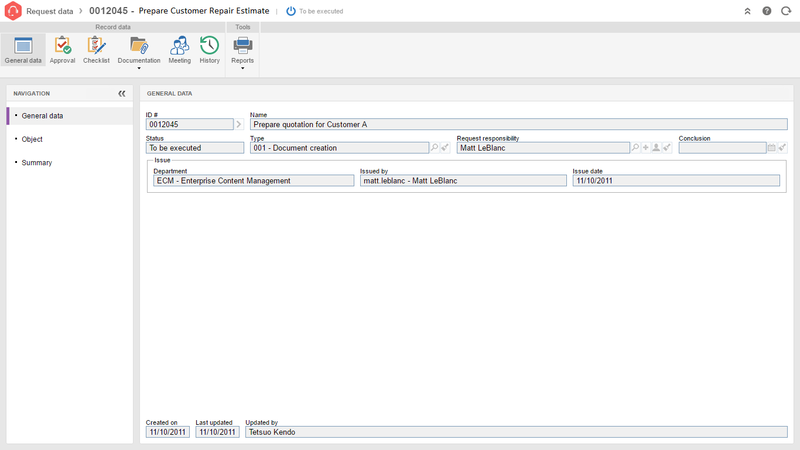 Through a single central database that stores all information and documents, SoftExpert Request automates the request lifecycle based on all service demands by the company’s different departments. This way, the entire daily work routine completed by the organization is recorded and monitored. Automates process requests for document creation and review, execution of maintenance work orders (WO), calibrations, new Initiatives for portfolio analysis, project initiation and change process, new training, changing Item, asset and supply information, process review and more. Monitors deadlines and sends tasks to those responsible. 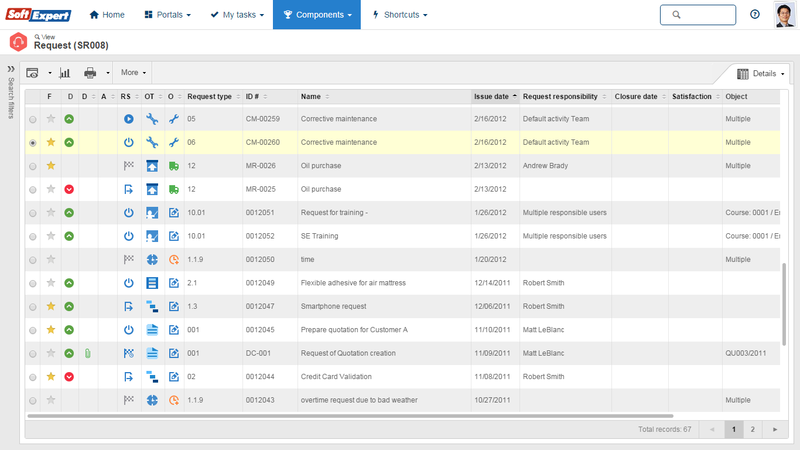 Optimizes productivity and quality requests through the use of checklists. Defines responsible teams for fulfilling requests. The primary role of value added service provisioning that increasingly assumes a business oriented perspective. Some of the ways you can measure and improve the Return on Management System Investment.